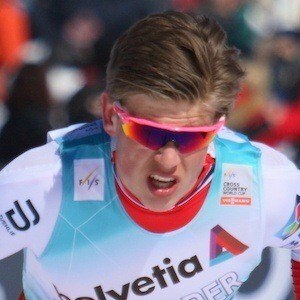 Norwegian skier who clinched three gold medals at the 2018 Winter Olympics, including the Men's Team Sprint. He is also known for having earned representation from the team Byasen IL. With a passion for the sport early on, he began training at a young age. He began his professional career in 2016. He won the bronze medal at the Men's sprint competition as the FIS Nordic World Ski Championships in Lahti in 2017. He was born and raised in Trondheim, Norway to parents Elisabeth and Haakon. He has a brother named Ola and a sister named Ane. He tied French biathlete Martin Fourcade for most gold medals won in the Olympic games.